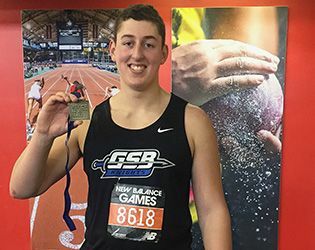 In shot-put competition, junior CJ Licata finished first overall at the 21st New Balance Games, held at the New York City Armory this weekend. His final throw of 58.25 was enough to push him ahead of the 96 other competitors and also break his previous school record. Earlier this season, Licata also won the shot-put event in the Somerset County Championship. Licata and teammates look forward to the Skyland Conference Championship on the January 28 at the Jersey City Armory.